This was a very sad year for our entire nation and the larger family of the world. We would like to acknowledge some of the true heroes of our community, our fire fighters. 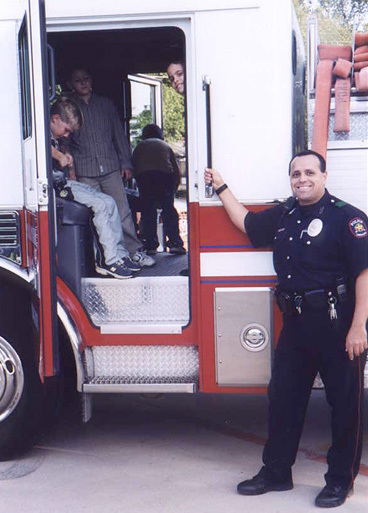 The City of Carrollton fire fighters were gracious enough to enhance ArmeniaFest 2001 by their presence. In the memory of the September 11 tragedy, the fire fighters asked for a donation from all present to go to the New City fire fighters. Approximately $1500 were collected. To our heroes we say: "Thank you!" 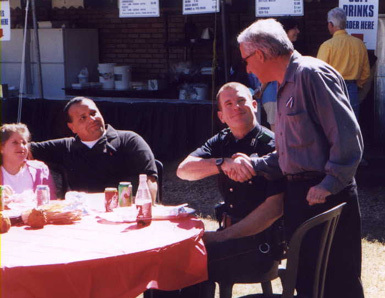 ​We also like to thank our Police force for serving our community and protecting us. Thank you! ​The children were allowed to climb up the impressive fire truck. This was a great opportunity for them. We are grateful for the fire fighter's kindness and cooperation.